Are you sick of putting a lot of hard work into preparing your auditions only to feel let down when you thought you did well but didn’t get a callback? Ask any actor and they’ll tell you that it’s only getting more and more competitive to book acting gigs (the ones that pay anyway). And if you’re passionate and serious about making your living as a professional working actor (now or someday soon) you don’t want to waste one single opportunity you do get in the audition room to make a GREAT impression on the Casting Director. 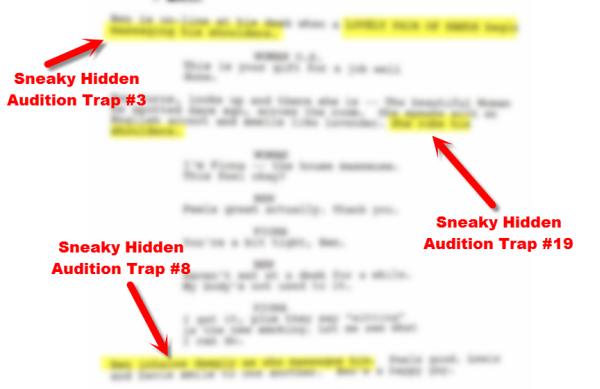 If you knew how to find those dangerous, hidden audition traps, you could apply the fix and give a highly competitive audition and have a much higher callback ratio. Highly Competitive Audition Skills Are Non-Negotiable If You Want To Be A Consistently Working Professional Actor. As an actor, you are in one of the most competitive professions there is. Are your audition skills competitive enough? Have you ever gotten the sides and felt unsure as to the best way to approach them because of a difficult piece of business, or emotion written into the material? Have you ever felt like you were perfect for a role, but somehow you just could not figure out how to NAIL your audition…so you just did the best you could and crossed your fingers telling yourself it was good enough? Have you ever auditioned for something where you thought you did GREAT and you were practically a walking-talking copy of the character description, but STILL not gotten a callback? If you answered YES to even one of those questions, you have most likely fallen victim to one of 21 sneaky, hidden audition traps in your sides. 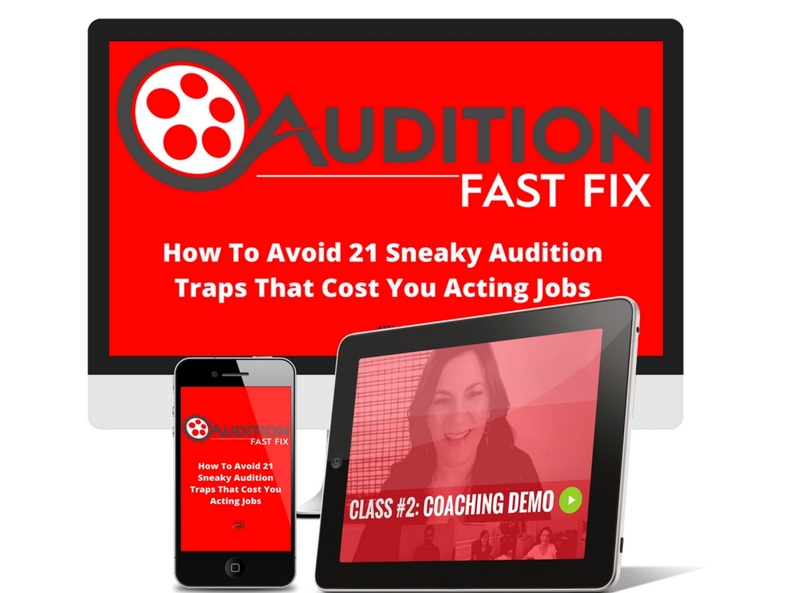 11 Case Studies from actual audition sides filled with traps you never saw coming or didn’t know how to fix (and the fast fix for each and every one… [SAMPLE SIDES INCLUDED]..
“Audition Fast Fix Checklist” that virtually guarantees your success in finding and avoiding audition traps for any audition…[WORKSHEET INCLUDED]. “Coach ‘n Teach“ – Get real, practical, first-hand knowledge of how to coach yourself through the process, step-by-step, as you watch me coach and then explain how you can apply what you're seeing to your own auditions. Seriously, chances are you’ve already fallen into audition traps (MULTIPLE times) and lost out on acting jobs you might have had a shot at (and you probably didn't even know it).